Often times, an all white kitchen seems to blend together. However, a few key accents placed throughout your space can really make it shine! Check out this design for a kitchen with a mix of modern and classic contrast. Debbie and Cliff’s kitchen is anything but cookie-cutter! Glazing on the cabinet doors bring out decorative lines to add more life into the kitchen. 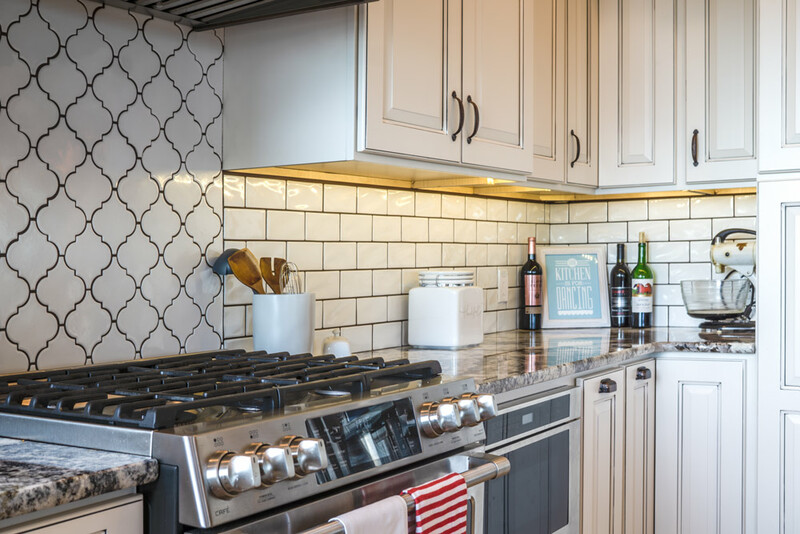 They also drew more attention to the subway tile and its accenting quatrefoil patterned tile above the stove. However, by far the best part about this kitchen was its hammered coppered detailing. The warmth of the copper is perfect to add color to a plain white kitchen. From drawer pulls to farm sink to hood - this kitchen is filled with peeks of artisinal touches. A large kitchen can easily turn into a seemingly endless stretch of cabinetry, but adding a contrasting island is a great way to add depth! In this case, a mocha stained island ties in copper touches to bring the whole room together. We also loved the craftsman-style bar stools pulled up to the island! Large kitchens need organizers too! Cliff and Debbie made the best use of their space by adding optimizers to the corners of their kitchen. 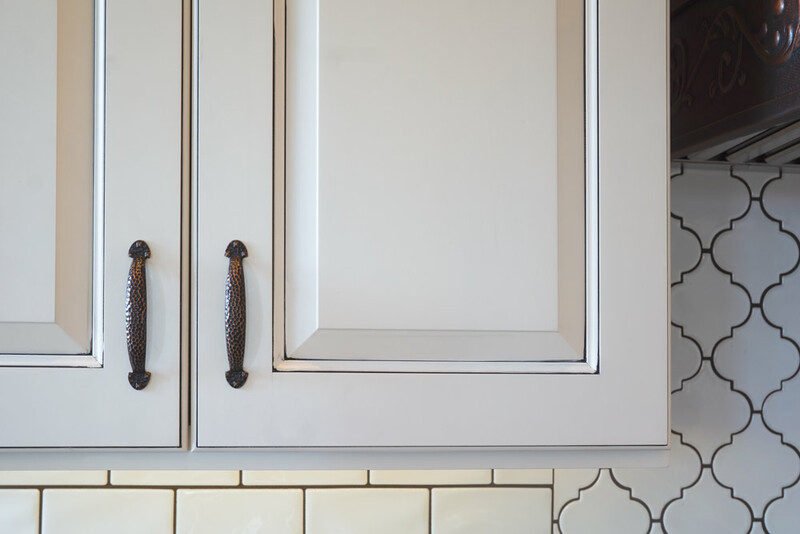 These handy features allow you to make use of every inch of your cabinetry by extending into the dead space of a cabinet. No more reaching around the corner!